Give a gift of renewal!!! For anyone who might love 3 different aromas of Aveda’s amazing hand creams!!!! $1 goes to Nepal earthquake relief with the purchase of this gift set* of travel-size moisturizing hand cremes plus a little night renewal for the road. What you get in this holiday incredible gift set!!!! Our gift sets come pre-wrapped and ready for giving in hand-crafted lokta bark paper from Nepal!!!! 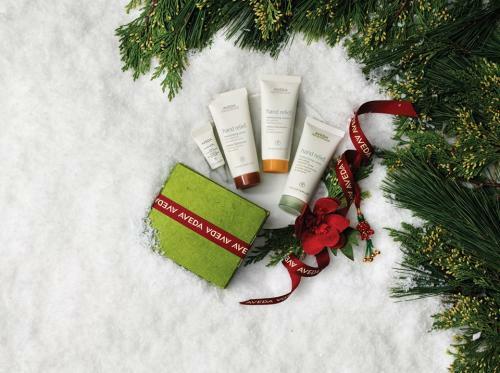 COME by Pistachio today to pick up your holiday gift set of Renewl!!! !